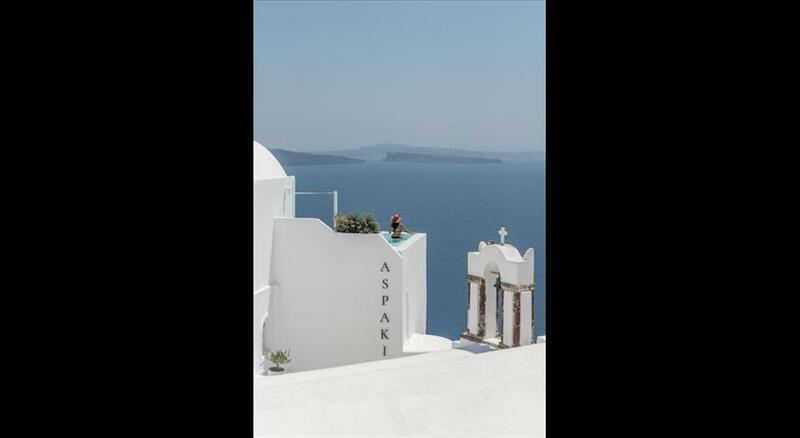 This 5-star hotel, offering an infinity pool with magnificent sea view, is situated on the cliffs high above the Aegean Sea, a short walking distance from the picturesque Oia . 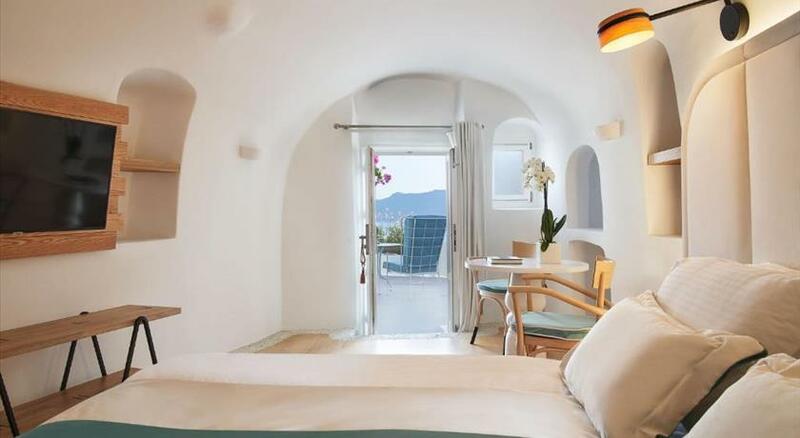 The hotel boasts 20 private houses in restored 300 year-old caves. Each suite enjoys free Wi-Fi internet access and a comfortable seating area. The wellness centre features a steam bath, sauna, open-air hot tub and massage facilities. The 24-hour fitness centre allows guests to exercise while taking in views of the cliffs. 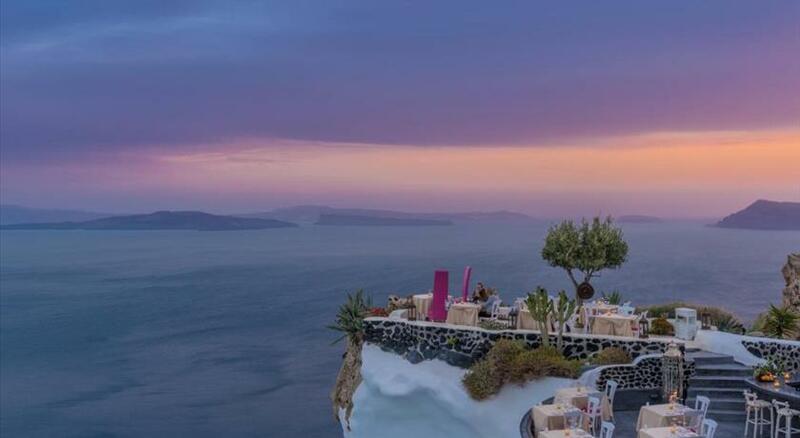 Housed in a restored wine cellar, the Perivolas Restaurant serves Mediterranean and Greek cuisine prepared with local products, only to hotel guests. Tables are candlelit with views out to sea. Free 2-way transfer from the port and airport is available and free private, on-site parking is possible. Taken from a drone fly over that shows the hotel from above. 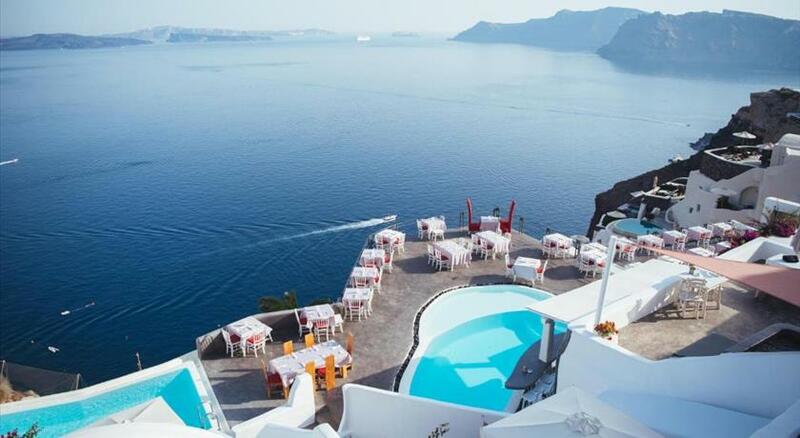 Perivolas Hotel is located in Oia's caldera. Please note that children under the age of 16 cannot be accepted to Perivolas Hotel due to safety reasons. Please note that transfer from/to the airport/port in included in the rate.